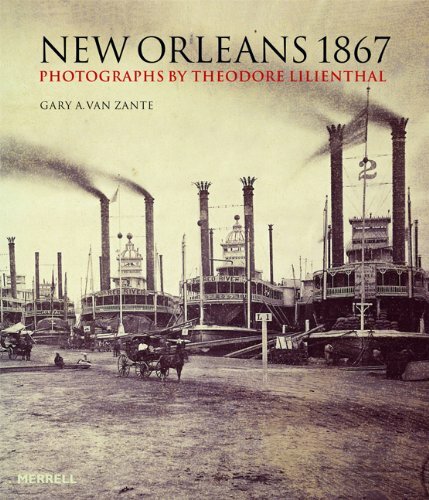 This book brings together all the surviving photographs-126 of the original 150-from the remarkable series entitled La Nouvelle Orleans et ses environs, taken of New Orleans in 1867 by the city's most important photographer, Theodore Lilienthal. Representing the first municipally sponsored photographic survey of any American city, and only recently rediscovered, the photographs-of every aspect of the city, from urban palaces and stately mansions to factories and asylums-were exhibited at the Paris World Exposition in 1867, before being formally presented to Napoleon III, Emperor of France from 1852 to 1871. This book places the photographs in the context of contemporary photographic practice, nineteenth-century city building and urban iconography, and of the need for reconstruction and economic renewal in the South following the devastation of the American Civil War. Lavishly produced and engagingly written, it will appeal to anyone interested in the history of the United States, the history of photography and the development of the modern city.